After spending at least two million minutes of my life fishing around in the depths of my bag for a jet black phone, I've decided it's time for a new case. 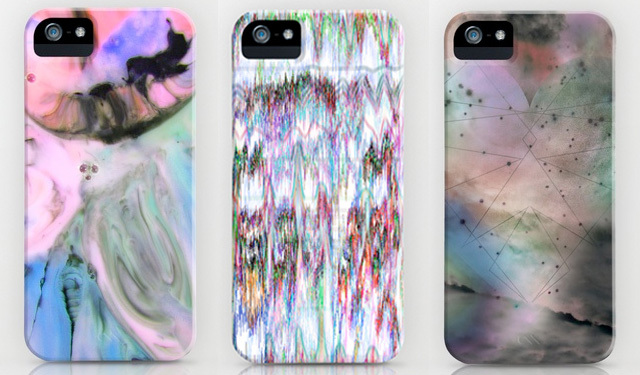 Aaryn West's Society 6 shop has me covered. Each case is manufactured in the USA of an extremely strong plastic called Lexan. According to Society6, Lexan is a stronger, lighter, more flexible, and of higher quality than other plastic cases on the market. 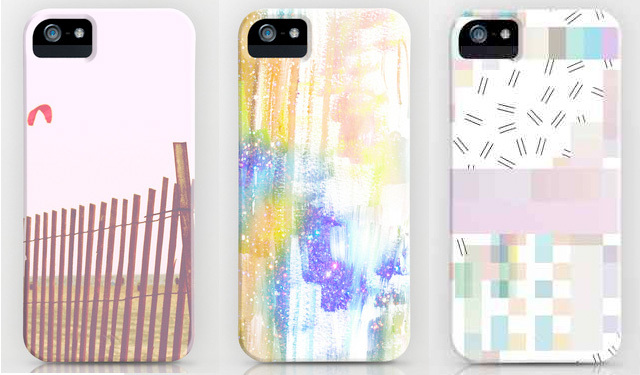 Bonus: each phone case was designed by the talented Ms. West in Los Angeles, California. 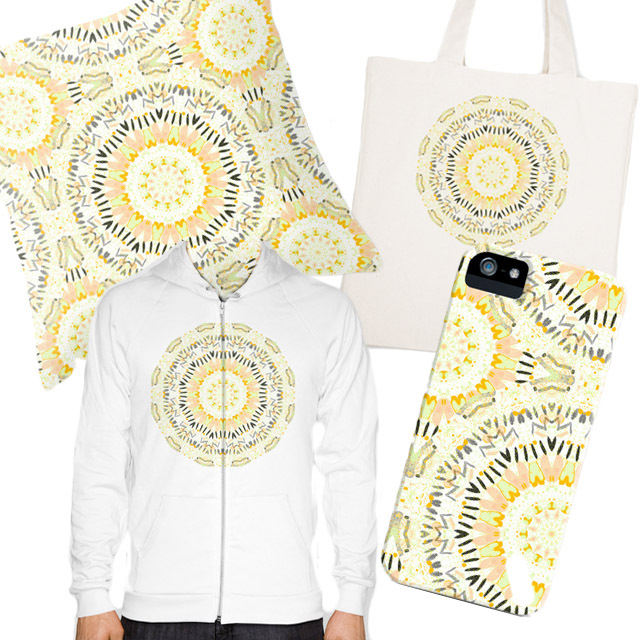 I've narrowed it down to the few cases above, but I was also delighted to discover that all of Aaryn's designs can be purchased as eco-friendly throw pillows, hoodies, tote bags, and more. 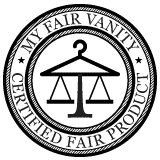 The hoodies are American Apparel, the totes are made from 100% post-industrial recycled cotton, and all other items are made in the USA.